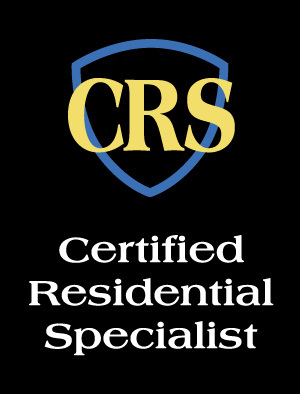 Many of you will wonder what the letters CRS stand for after a Realtors name. The Certified Residential Specialist (CRS) is the highest Designation awarded to sales associates in the residential sales field. The CRS Designation recognizes professional accomplishments in both experience and education. Only 4 percent of all REALTORS® have earned this prestigious credential. The education you have received is considered "top shelf" among the experts. You have access to one of the best networking systems in the country to help your relocating clients. Council members were involved in nearly 25 percent of all residential real estate transactions in the United States. As a Council member, you get information about the latest sales and marketing techniques, and changes in the law that benefit home buyers and sellers. There is a big difference between CRS agents and other agents. Advanced training, experience, and nationwide access to a network of resources should make you the preferred choice in residential real estate sales.